Found a new Monday motivation or something funny on Instagram and wants to share it with your friends and followers? Now there is no need to take a screenshot. 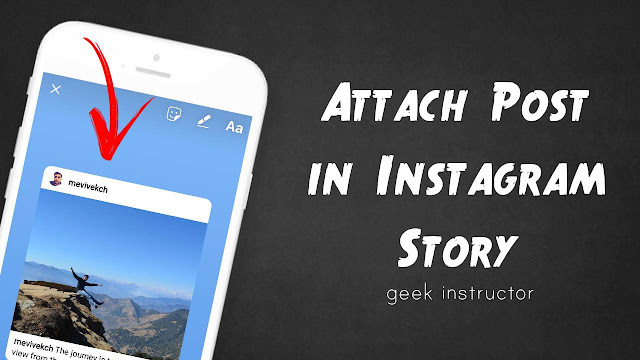 First, launch Instagram app and open a photo or video you want to attach in your story. Now tap send button at the bottom of the post. Then click "Add post to your story" option. You can move the post anywhere on the screen. Tap on it to change its view. You can add text/stickers or draw anything you want. Now when someone will tap on the post on your story, it will open the original post. Note that, Instagram story will disappear automatically after 24 hours. If you would like to share something on your profile permanently, read this guide on how to repost on Instagram. First, go to your profile and tap menu button (three dots at the top-right corner of the screen). Under Privacy and Security section, click "Resharing to stories" option. Now turn off the toggle button. That's it. We hope you find this guide helpful. 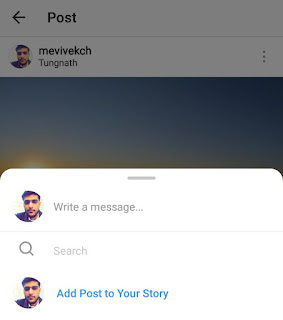 Let us know what you think about this new feature of resharing post in Instagram stories. If you want to ask something about this tutorial, feel free to share it in the comment section.